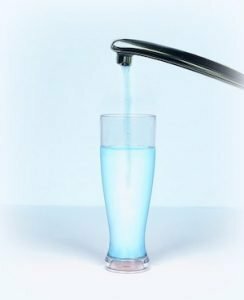 In this article, I will discuss alkaline water benefits and six essential questions to consider before you purchase a water system. I have always been interested in being as healthy as possible. I had a very serious health challenge in 2009. I modified my diet and I still had my challenges. My health improved only after I changed the water I was drinking. As a result, I became very interested in Alkaline water. What does NSF stand for? Third world countries are not the only places where contaminated water is a huge health risk. Even in developed countries like the United States and Canada, there are significant issues with water quality. Independent testing by our governments has shown the source water in our water supply has significant pollutants. We have access to running water but it may not be safe to drink! According to the Natural Resources Defense Council, runoff 0f rain and snow from rooftops and roads pick up toxic chemicals like lead, dirt and a multitude of germs as it makes its way to rivers and seas. It is also contaminated with hormones and pharmaceuticals and pesticides. Pharmaceuticals are flushed down the toilet. Pesticides leach down into the aquifer. Water also picks up other toxic metals from the pipes that it runs through. As a result of all of the above tap water is treated with chlorine and other chemicals in order to kill disease causing bacteria and other harmful microbes. Quite frankly I do not want to be drinking all of that poison!! It makes good sense – if you can reduce the amount of contamination and chemicals in your water – you would have the potential for better health. 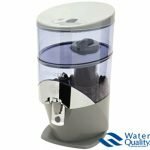 What is the best option for pure clean water? People are purchasing bottled water like its going out of style. I read the other day, more than 100 million plastic bottles are used every day worldwide The sales of bottled water is a 100 Billion dollar industry. This leads to a huge amount of waste. Those plastic water bottles are filling up our oceans and landfills. We throw away enough plastic to circle the earth 4 times!! That is 15,836 miles. Studies show that bottled water has the same contaminants as tap water. The plastic bottles also leach additional chemicals into the water. Millions of people are paying countless dollars for ordinary tap water in a bottle and filling our landfills with unnecessary plastic pollution. I looked at basic carbon water filters. Many of the water filters are very good at removing chemicals from your drinking water. Some of the filters are so good that they remove everything from the water, even good minerals and beneficial nutrients. So, starting with a good water filter is healthier than drinking tap water. Some methods use electricity, an ionization process to make water alkaline. 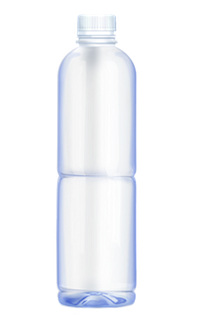 This artificially modifies the water and again it ends up lacking the minerals needed to maintain your body’s optimum pH balance. “The unnaturally produced water can cause health problems if consumed on a regular basis… it may produce incredible benefits for the first month. However, in the long run, they may have a host of side effects leading to serious complications. The danger of this type of alkaline water is that it has been artificially made to be alkaline. It has been modified. Water can also be filtered by distillation and reverse osmosis (RO). Reverse osmosis pushes water under pressure thru a semi-permeable membrane. About 4 times the water is wasted during the filtration process. Of these two methods, the most efficient is distillation. These 2 methods have the same issues as the regular carbon filters. They effectively strip everything from the water even the beneficial nutrients. Water is naturally alkaline when it passes over rocks and picks up minerals. These minerals are what increase the alkaline level. Alkaline water has a similar pH as the body so that it is easily absorbed. It contains mineral to help adjust the pH, to make it alkaline. Drinking natural alkaline water will help our bodies to better maintain its pH balance. The ideal pH is between 7.30 and 7.45. Anything under 7 is considered acidic. Many health problems are caused because of the hustle and bustle of today’s busy lifestyle. Our diet can lead our bodies to be acidic. Diseases like cancer thrive in acidic environments. Introducing food and water that is more alkaline can slow or stop cancer growth by balancing your body’s pH level. Water is essential and supports every bodily function. So it is essential for healthy living to make sure you get plenty of good water. We live in a high-stress fast-paced lifestyle. Stress, alcohol, caffeine, sodas all add up to create a very acidic environment for the body. One of the best books that I have read on this subject is a book called “Your body’s many cries for water – you are not sick – you’re thirsty”. by F Batmanghelidj. An ideal water system is one that creates alkaline water naturally. Ideally, it would be best if you had water that was alkaline thru natural means and not electrical ionic process. Filtered alkaline water means not only is the pH of the water alkaline but the toxins and chemicals have been removed. Natural alkaline water helps to balance the acidic diet and the acidity induced by stress that we commonly experience in today’s hectic life. One that not only meets but exceeds the EPA standards and one that has the correct NSF ratings. A water system that puts minerals back into the water after filtering is even better. Back in the olden days, we used to be able to drink out of streams where the water bubbled over rocks and it was aerated and gathered minerals. This water is naturally alkaline and it is alkaline the way that nature intended. You may be asking, is there a water system that does all this? My extensive research revealed an affordable – easy to use system. It exceeds both the EPA and the NSF standards. It produces alkaline water naturally without electricity. This system is gravity fed so no need for a power cord or electricity. Pour ordinary tap water into the top container. Automatically, the water system does its magic. The result is safe, pure, clean, healthy water with the minerals nature intended. I now enjoy drinking healthy, pure, alkaline water.